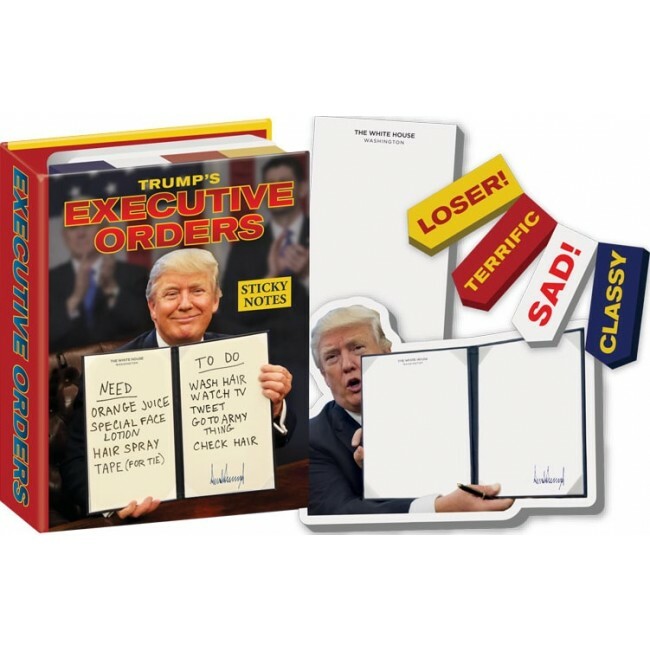 The yugest and best collectible little book of presidential sticky notes ever! Need to get things done fast? Don't wait for consensus terrorism - get Trump's Executive Orders Sticky Notes Booklet with plenty of notes to Make Your Memos Great Again...or maybe just build a little wall around your ivory tower with them.